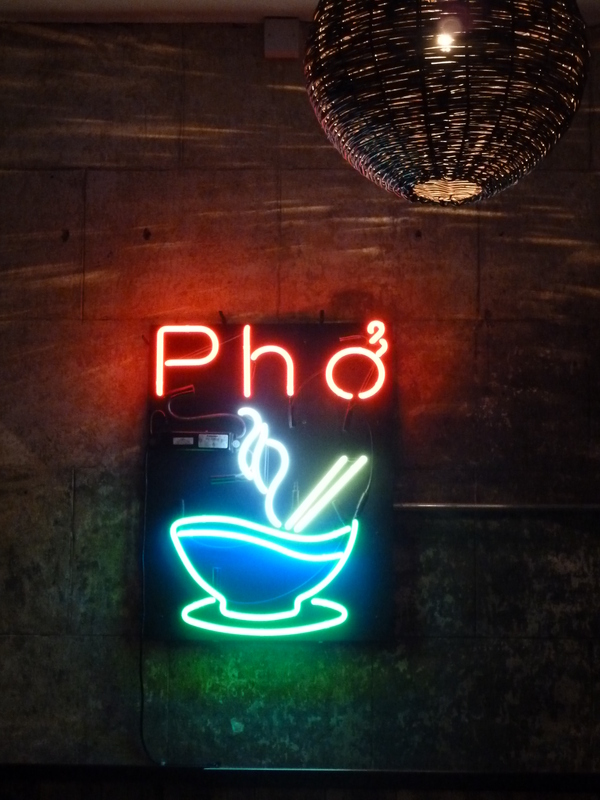 Pho is a Vietnamese café-restaurant chain across London, serving up its namesake, a popular street food dish. 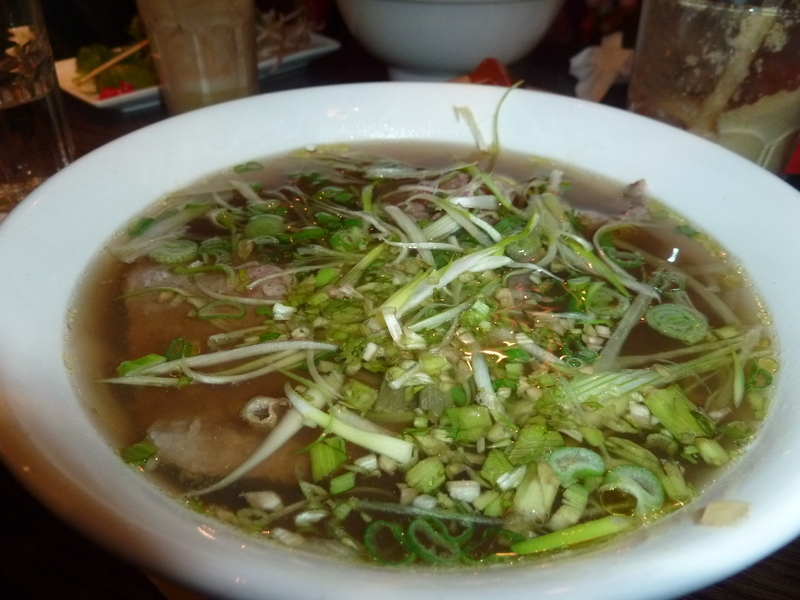 Pho is a broth rice noodles and may be made with various herbs, vegetables and meat/seafood. Thanks to the wonderful medium of Twitter and Pho’s generous giveaways, I’d managed to secure a £10 giftcard to spend. This is where my quandary begins… because I really didn’t enjoy my pho! I really, really wanted to. First of all, Pho Spitalfields looks like a trendy, tasty place. The inside has cute, circular wooden tables and a fun luminous sign on the wall. It’s simplistic yet kind of cosy. I ordered Phở tái lăn (£8.50) – flash fried steak with garlic (Hanoi style). I found the steak chewy and tasteless. Then there was the broth. 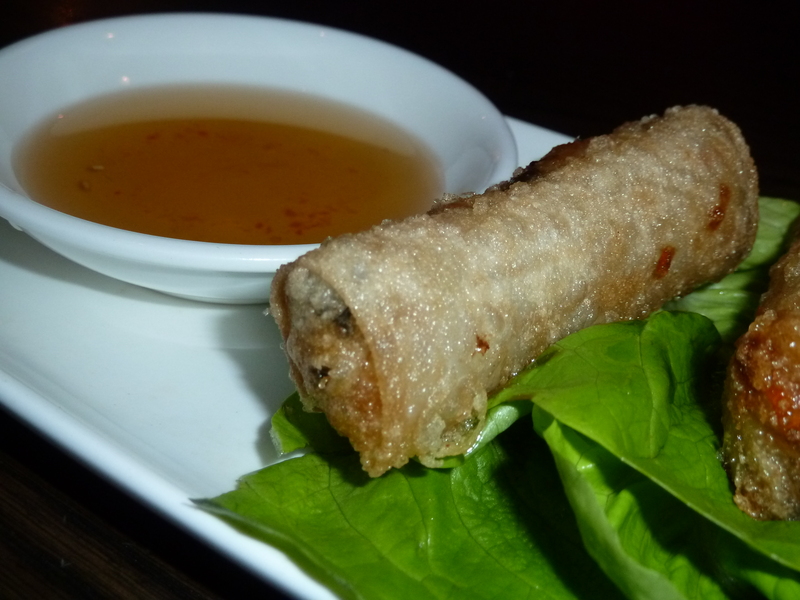 Pho’s menu boasts about the 12 hours of preparation to create truly authentic flavours. My soup was bitter and not much else. It tasted solely of the copious spring onions that were floating around in it. It was served with bean sprouts, coriander, lime and chilli chunks, but these failed to contribute much, save for the chilli which I avoided to save my mouth from pain! Now I can accept that they’d done a poor job on the steak…but is pho supposed to be bitter and fairly light in flavour? Do I just dislike pho?? 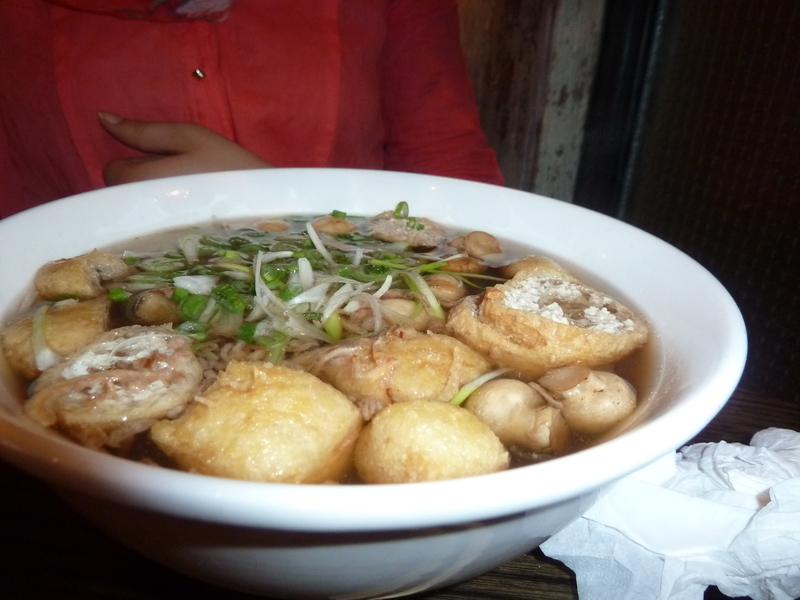 My dining companion took Phở nấm rơm (£7.95) – enoki, shiitake and button mushrooms in veggie stock. I tried the broth and it was less bitter and slightly sweeter, but still underwhelming. 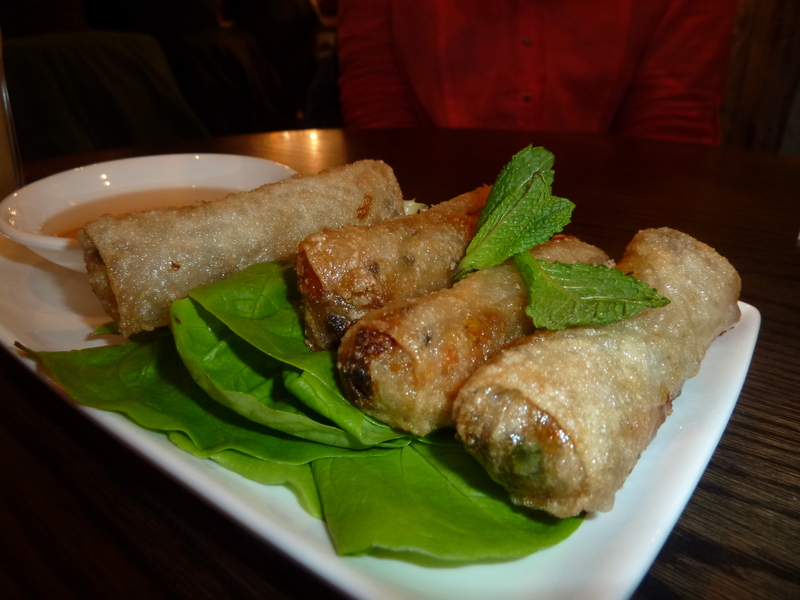 We also tried Chả giò – crispy spring rolls served with lettuce & herbs – with nước chấm (fish sauce) to dip (veggie £4.75). These were crispy but again had very little flavour! 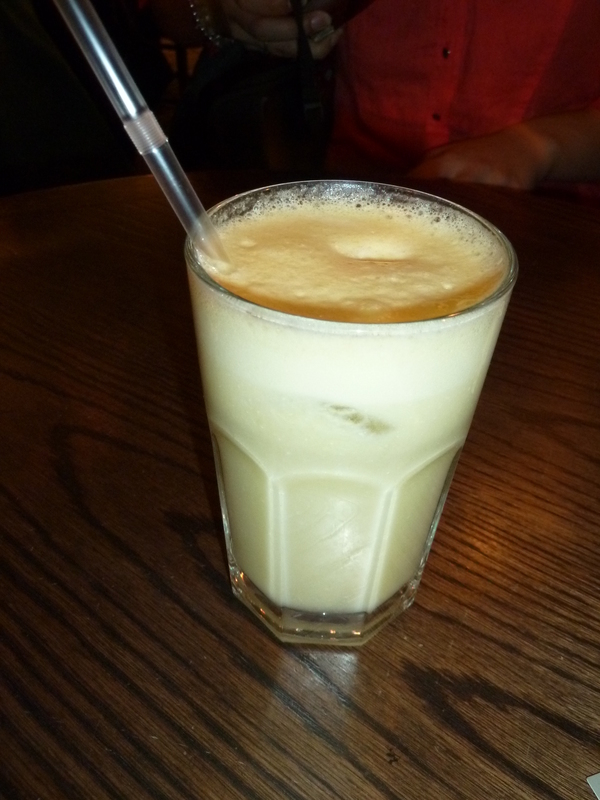 The highlight was the freshly squeezed juice – we tried coconut, pineapple & apple (£3.30) which sounds odd, but was fantastic! So readers, do I dislike pho or is Pho just not up to scratch? I tend to mistrust chain restaurants so I’m sure it’s not the best representation of authenticity but even so… Opinions please! 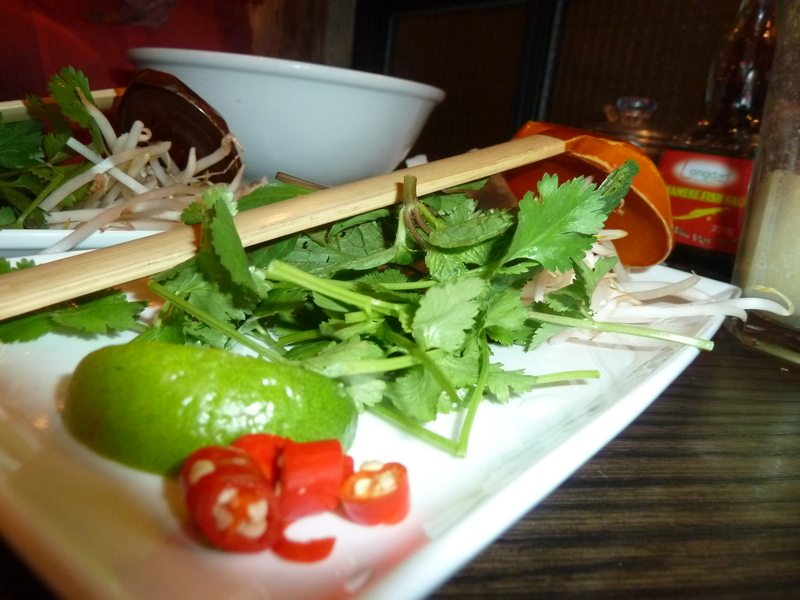 Pho (Spitalfields) 2/5 – Maybe I just don’t like pho?! Food 2/5 – Where was the flavour? Atmosphere 3/5 – A little cramped but always bustling.